Double distillation on an antique 16HL cognac still. 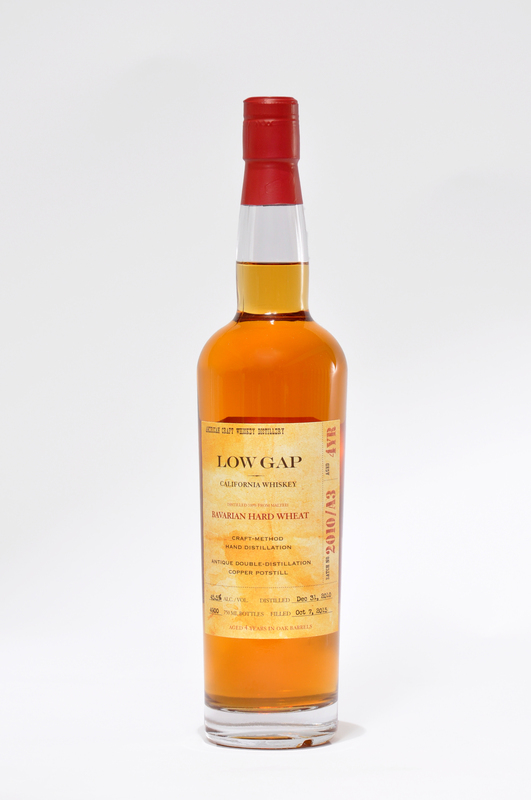 On-site fermentation of distilling beer, using innovative Low Gap was Malt Advocate’s Artisan Whiskey of the Year in 2012, and has won a number of gold medals and ★★★★★ reviews from Paul Pacult. Descent to proof is with filtered rainwater. These are extraordinary spirits. 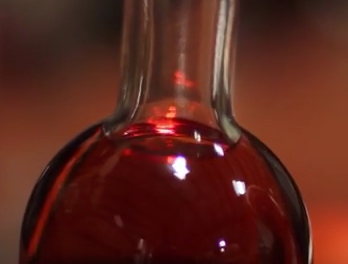 Bottled at 2+ years, this amazing whiskey shows what can be accomplished by a master working on a cognac still. Smooth, rich, surreal. 43.1% abv. Sold out. 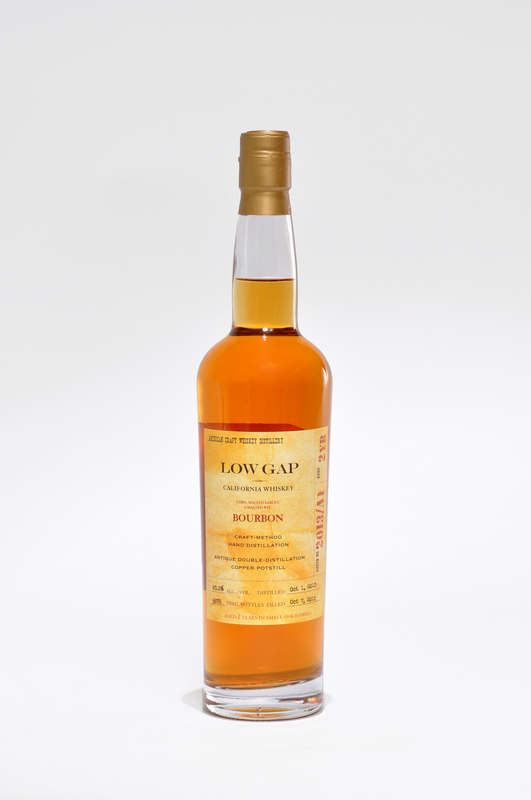 A blend of four and five year old wheat whiskies distilled in 2010 and 2011. 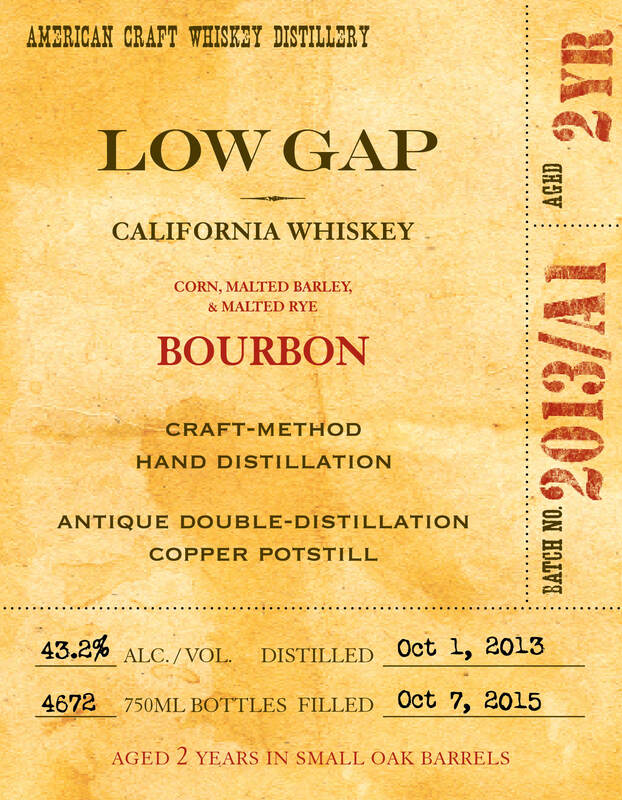 This release was aged in new and used bourbon barrels, used cognac barrels, and used port barrels. The flavor profile is dense and very complex. At 45.5% ABV, it lends itself well to cocktails. 100% malted rye. Full rye body. The roughness of most ryes is here tamed by the small cognac potstill. Fabulous. New bottling Dec 2014. 44.1% abv. Malted corn and malted barley. Aged in used Van Winkle barrels and new Missouri oak bourbon barrels. Amazingly mellow. 46% abv. From malted Bavarian hard wheat on the Germain-Robin 16HL antique cognac still. Aged 2+ years in a special selection of three new and used American oak barrels. 50% abv. Very smooth, very rich. Full rye body. 100% rye malt extract. Fabulous. Aged 2 + years in new and used bourbon, used cognac barrels and new small cooperage barrels from Minnesota. 42.2% abv.